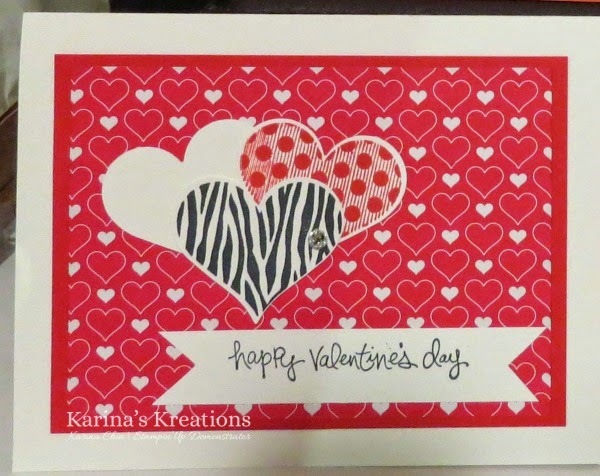 Karina's Kreations: Groovy Kind of Love Valentine's Card! Groovy Kind of Love Valentine's Card! I have a kid's card class today and this is one of the cards they are making. It's an easy card with a big Wow factor because of the super cute Stacked with Love Designer Series Paper Stack #137779. You get 48 sheets of paper in one stack for only $8.50. I also used the Groovy Kind Of Love Stamp set on this card.